FaMESHed has its inaugural opening today and there is a TON of great exclusive stuff from labels like Celoe, Mon Tissu, Geometry and much more! 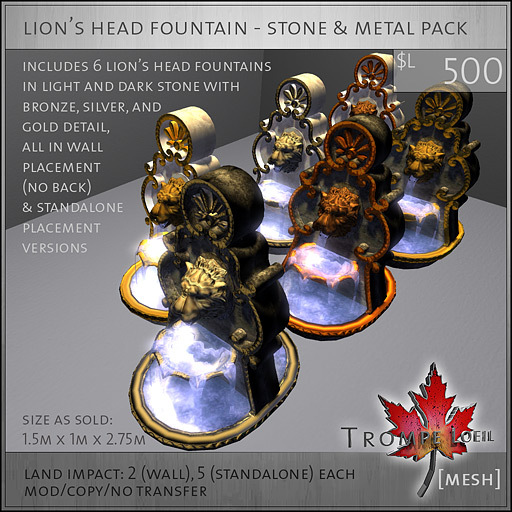 Trompe Loeil has brand-new exclusive texture options for our Lion’s Head Fountain on offer, including a megapack of all 6 styles for only $L500! You can’t grab these any other place than FaMESHed so swing on in!